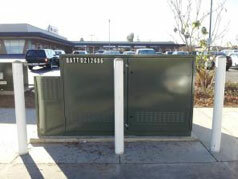 Green Energy Corp supported a utility for this demonstration project of three community energy storage systems funded by the California Energy Commission. Key activities included the procurement of three units rated at 25 kW and 75 kWh, site selection, installation, development and execution of test plans, development and application of controls for fleet operations, data collection, data analysis, and project reporting. 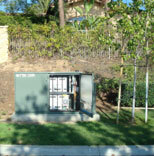 The three sites were a large residence with a 25 kW PV system, a strip mall, and a utility test facility. GEC developed load forecasts and used CAISO day ahead local marginal price data to support dispatch schedules for the units individually as well as an aggregated fleet.